St Ninian’s High School parents/carers questionnaire. HM Inspectors from Education Scotland will be visiting the school to conduct an inspection during the week commencing 21st January. As part of the inspection, Inspectors gather the views of stakeholders via an online survey which is available at the link below. 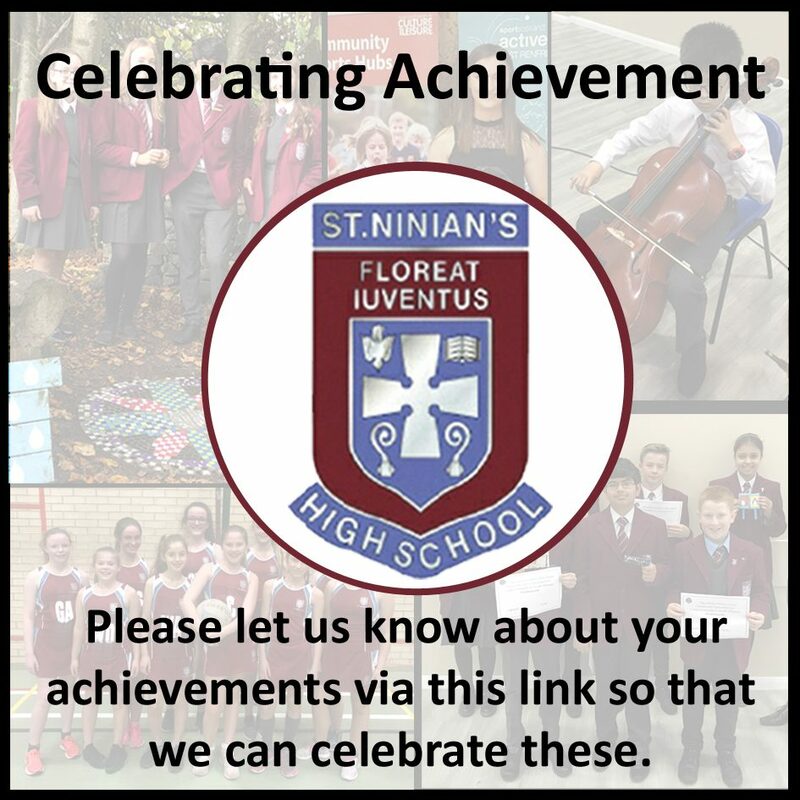 As parents/carers are such crucial partners to the school, this is a great opportunity for you to give the school credit for all the work we do in developing your children academically, socially and spiritually. I would like to encourage you to take time to complete the survey. Inspectors will also be meeting with groups of parents during the inspection. If you wish to be part of that discussion, please complete the survey with additional links provided to indicate your interest in taking part. Please complete the survey by Friday 11th January for one child or if you wish for each of your children in attendance at Saint Ninian’s.